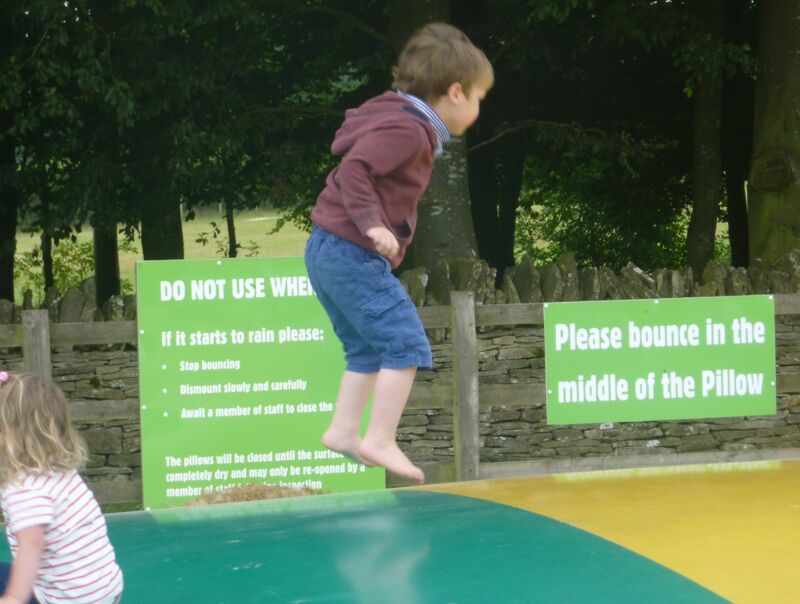 The middle of the summer holidays is bound to be a busy time at Adam Henson's Cotswold Farm Park...but we didn't bargain on just how busy it would be for our midweek August visit. But what a testament to how popular this tourist attraction has become in recent years, with the farm park milking the 'Countryfile effect' for all its worth, if you'll excuse the pun. And why not? It has to be said, despite its success, the Cotswold Farm Park doesn't just sit on its laurels but it puts an awful lot into the "visitor experience". Throughout the summer holidays it is running special themed weeks, including one based on the Romans the week we visited. 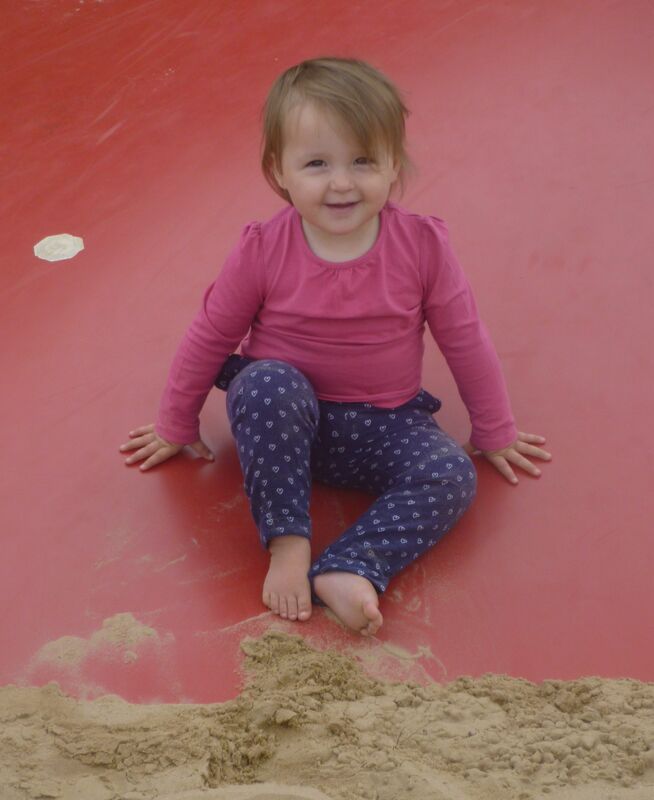 Our four-year-old son Noah was minus his regular companion Eliza on this occasion, but his little sister Gracie stood in very well as his sidekick and, despite being only 18 months old, she was keen to try out everything that she possibly could - including the hugely popular bouncy pillow. 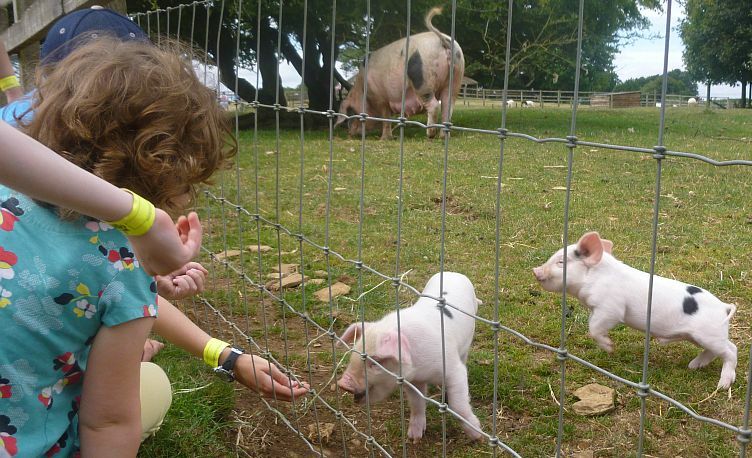 With so many fun things to do as you enter the Cotswold Farm Park - such as sand pits and farm-based play equipment - it's sometimes quite hard to get the little ones to focus on the main reason for their visit - the wide variety of rare breed animals. But once we entered the Touch Barn, Noah was in his element, stroking a rabbit and then holding a very young chick in the cup of his hands. "This place is just magical," declared my wife Helena, as she eyed up the Guinea Pig Village and the wealth of other baby animals in the Touch Barn. 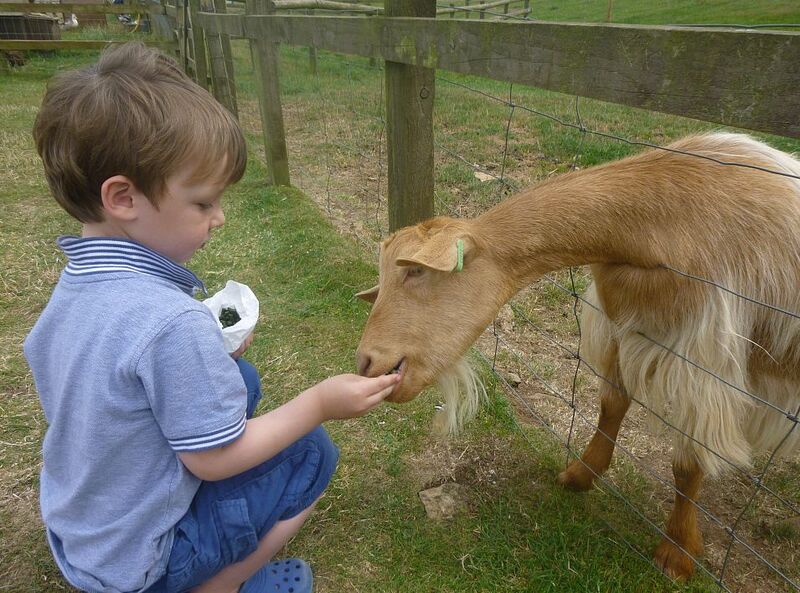 Then, armed with a bag of animal feed, Noah proceeded to visit probably my favourite animals at the farm park - the rare breed goats, who you just can't fail to adore as they playfully tussle for your attention and for the biggest amount of rations. We probably made our biggest mistake of the day by electing to go into the restaurant bang on 1pm, when the crowds were at their peak. We didn't mind waiting a while to be served and then for our food to arrive but it was a little disappointing to be told that my wife wouldn't be able to have a jacket potato because they had just run out. But I was alright Jack. I really enjoyed my ham, egg and chips! After lunch, Noah demanded that we return to the bouncy pillow where he had had so much fun in the morning and we also ventured into the nearby maze, where we were helped to find our way around by answering questions based on the Romans. All too quickly another great day out came to and end and such is the fun to be had in various parts of the farm park that there were still activities - such as the farm tractor safari - that we have yet to experience. But, rest assured, Noah will be back another day to visit what he still calls the 'Cockerel Farm Park'.